In the United States alone a vehicle is stolen every 20 seconds. That's over 1 million vehicles every year. Most are never recovered. The ones that are recovered usually have thousands of dollars in repairs. And if you have a deductible, you'll have to pay to get it repaired. Nation Safe Drivers Traceable Theft Protection Program is probably one of the best ways to make your car safe from professional thieves. They are not after the vehicle, they are after the money the vehicles brings them after they sell it. Nation Safe Drivers Traceable Theft Protection Program places a special identification code (and Nations Safe Drivers' 800 number) on your vehicle. This makes the vehicle traceable by police, so the thieves cannot sell it, because no one will risk buying it. 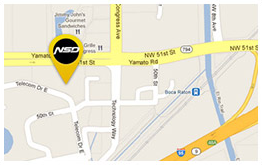 With the Nation Safe Drivers' 800 number on your vehicle, anyone can call and report the vehicle stolen. Most insurance companies will reduce the cost of your comp/collision insurance when you have a vehicle theft deterrent system installed? Nation Safe Drivers Theft Protection Program meets insurance requirements for reduction of insurance premiums for vehicle theft deterrent systems? Your registration number is permanently placed on your vehicle. 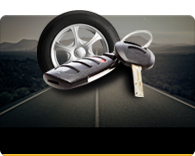 Only the Nation Safe Drivers Theft Protection Program provides real financial help when you need it the most. When you begin to shop around for another vehicle, you receive reimbursement for a rental car up to $25.00 a day for 20 days. That's $500.00! If your vehicle is recovered from theft but is NOT declared a total loss, you receive a reimbursement of up to $1,000 to pay your primary deductible. Wherever you are, you'll enjoy the secure feeling of knowing that you are protected by the Nation Safe Drivers Theft Protection Program. Fast response and excellent service are just two reasons why millions of motorists rely on Nation Safe Drivers for on-the-road protection.